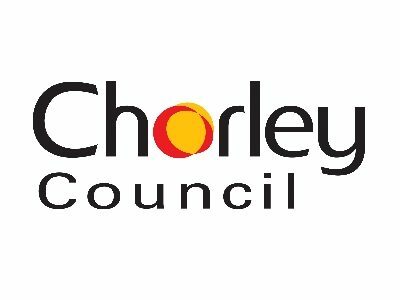 Chorley Council has a dedicated business support team who undertake a range of activities to help develop a strong local economy, which is one of the Council’s key strategic priorities. In particular, the team has two dedicated Business Engagement Officers whose roles are focused on engaging with businesses and assisting existing businesses who have aspirations to grow. In addition, the team also has a dedicated Senior Business Engagement Officer (Digital) who is primarily focused on Chorley’s Strawberry Fields Digital Hub and delivering the Lancashire-wide Digital Creative programme for start-up or growing digital and creative businesses. This support extends to financial assistance, with the Council providing capital grants to existing businesses and a ‘Choose Chorley’ inward investment grant to relocating companies. In addition, given Chorley’s strong market town heritage, support for retail businesses in the town centre is also a key part of the economic development support on offer. A Shop Front Improvement Grant is available, which contributes to creating a vibrant town centre, with a thriving market and aspirations to develop the town centre retail offer even further. Know where you have come from, where you are now, and where you want to be. Then plan accordingly to achieve your growth ambition. Have clear targets and make sure that everything you do is contributing towards their attainment. Ask yourself the question “Is what I am doing contributing to achieving my goal?” if the answer is No, don’t do it. The wide and varied range of support services to businesses in Lancashire all contribute to making Lancashire a great place to grow a business. With strong roots in industrial manufacturing and the growth in the digital and creative sectors there are many and varied opportunities, including the new Strawberry Fields Digital Hub in Chorley which has been built specifically for digital and creative businesses in the heart of Lancashire. We are committed to providing a comprehensive, locally provided business support offering and we feel that it is important that we can simplify access to a wider range of support services for our customers. Boost offers a way that we can continue to be engaged with the wider picture and make sure that Chorley businesses benefit where they can.